Humpstead Productions Pty. Ltd. 1987. Director: George Miller. Music: Tim Finn. LP	(ST)	WEA. 254779-1. (CA 254779-4). 1987. Gatefold. “THE LES PATTERSON LONG PLAYER”. Includes dialogue from the film. 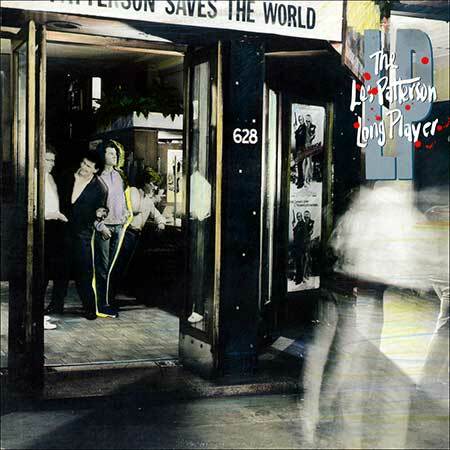 Music for the motion picture soundtrack Les Patterson Saves The World by Tim Finn. Dialogue taken from the Motion Picture Fillum ‘Les Patterson Saves The World’. Album sequence prepared by Ricky Fataar, Philip Mortlock and Peter Cobbin at Studio 301. EQ’d and Mastered by Don Bartley at Studio 301. Produced by Ricky Fataar. Les’ U.N. Fanfare. (Tim Finn/Michael J. Kenny). (Mushroom/Chappell). Arranged by Mick Kenny. Conductor - Michael Hope. Orchestral Contractor - Philip Hartl. Recorded by Jim Taig. Mixed by Peter Cobbin. Everybody’s Jumpy. (Tim Finn). v: Tim Finn. (Mushroom). Ian Belton - Bass. Mark Punch - Guitar. Amanda Vincent - Keyboards. Bruce McLean - Steel Drum. Tim Finn - Piano and Vocal. Horns: John Hoffman, Paul Panichi, Bob Bouffler, Bob McIvor, Col Loughnan, Bob Johnson, Grahame Jesse, Tony Buchanan. Tracks recorded by Peter Cobbin at Paradise Studios (assistant engineer Mark Roberts). Mixed by Tim Kramer at Studio 301. (Tim Finn/Michael J. Kenny). (Mushroom/Chappell). Arranged by Mick Kenny. Conductor - Michael Hope. Orchestral Contractor - Philip Hartl. Recorded by Jim Taig. Mixed by Peter Cobbin. Strange Weather. (Tim Finn). v: Tim Finn. (Mushroom). Ian Belton - Bass. Mark Punch - Guitar. Amanda Vincent - Keyboards. Ricky Fataar - Drums, Percussion and Organ. Tim Finn - Piano and Vocal. Tracks recorded by Nick Launay, overdubs recorded by Peter Cobbin at Paradise Studios (assistant engineer Mark Roberts). Mixed by Tim Kramer at Studio 301. (Tim Finn/Barry Humphries). v: Sir Lesley Colin Patterson. (Mushroom/Bilarm Music). Tim Finn - Piano. Mark Punch - Electric Guitar. Ricky Fataar - Drums. Ian Belton - Bass and Acoustic Guitar. Pee Wee Clarke - Pedal Steel. Hugh Benjamin - Clip Clops. Tim and Ricky - Backing Vocals. Track recorded by Nick Launay, overdubs recorded by Peter Cobbin at Paradise Studios (assistant engineer Mark Roberts). Mixed by Tim Kramer and Peter Cobbin at Studio 301. Victory Chase. (Tim Finn/Michael J. Kenny). and mixed by Peter Cobbin at Studio 301. Desert Chord. (Tim Finn). (Mushroom). Arranged by Mick Kenny. Conducted by - Michael Hope. Orchestral Contractor - Philip Hartl. Recorded by Jim Taig and mixed by Peter Cobbin at Studio 301. Percussion. Tim Finn - Piano and Vocal. Horns: John Hoffman, Paul Panichi, Bob Bouffler, Bob McIvor, Bob Johnson, Col Loughnan, Grahame Jesse, Tony Buchanan. Tracks recorded by Nick Launay, overdubs recorded by Peter Cobbin at Paradise Studios (assistant engineer Mark Roberts). Mixed by Tim Kramer at Studio 301. (Tim Finn). (Mushroom). Mick Kenny - Piano. Ian Belton - Bass. Ricky Fataar - Drums. Horns: John Hoffman, Paul Panichi, Bob Bouffler, Bob McIvor, Bob Johnson, Col Loughnan, Grahame Jesse, Tony Buchanan. Recorded by Tim Kramer at Paradise Studios. Mixed by Tim Kramer at Studio 301. Bazaar Fanfare. (Tim Finn/Michael J. Kenny). Conductor - Michael Hope. Orchestral Contractor - Philip Hartl. Recorded by Jim Taig and mixed by Peter Cobbin at Studio 301. Hacia El Sol. (Tim Finn). (Mushroom). Hernan Flores - Requinto Charango Zampona and Bongos. Richard Andino - Guitar. Tim Finn - Piano. Recorded by Tim Kramer at Paradise Studios. Mixed by Peter Cobbin at Studio 301. Goodbye Godowni. (Tim Finn/Michael J. Kenny). (Mushroom/Chappell). Arranged by Mick Kenny. Conducted - Philip Hartl. Recorded by Jim Taig and mixed by Peter Cobbin at Studio 301. You Saved The World. (Tim Finn). v: Tim Finn. (Mushroom). Ian Belton - Bass. Mark Punch - Guitar. Amanda Vincent - Keyboards. Ricky Fataar - Drums and Percussion. Tim Finn - Piano and Vocals. Mark Punch, Venetta Fields, Mark Williams - Backing Vocals. Engineered and mixed by Jim Taig. Recorded at Paradise Studios. Mixed at Studio 301. (Tim Finn/Ian Belton/MarkPunch/Ricky Fataar/Amanda Vincent/Barry Humphries). v: Sir Lesley Colin Patterson. (Mushroom/Control). Mark Punch - Guitar. Ian Belton - Bass. Amanda Vincent - Keyboards. Tim Finn - Piano. Ricky Fataar - Drums. Track recorded by Nick Launay. overdubs recorded by Peter Cobbin at Paradise Studios (assistant engineer Mark Roberts). Mixed by Peter Cobbin at Studio 301. 45	(ST)	WEA. 7-258308. 1987. (Picture sleeve). 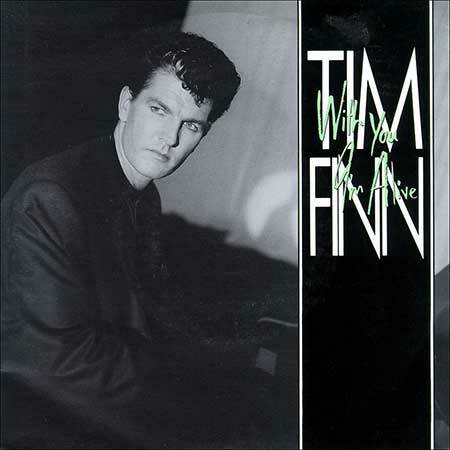 “TIM FINN - WITH YOU I’M ALIVE”. Side a: “With You I’m Alive”. (3:44). (Tim Finn/Jeremy Brock). (Mushroom/SBK Songs). v: Tim Finn. Produced by Ricky Fataar. Recorded by Nick Launay. Overdubs recorded by Peter Cobbin. Mixed by Tim Kramer. Side b: “Hacia El Sol”. (2:12). (Tim Finn). (Mushroom Music). v: Tim Finn. Produced by Ricky Fataar.